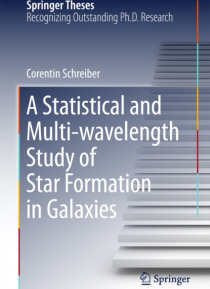 This thesis presents a pioneering method for gleaning the maximum information from the deepest images of the far-infrared universe obtained with the Herschel satellite, reaching galaxies fainter by an order of magnitude than in previous studies. Using these high-quality measurements, the author first demonstrates that the vast majority of galaxy star formation did not take place in merger-driven s… tarbursts over 90% of the history of the universe, which suggests that galaxy growth is instead dominated by a steady infall of matter. The author further demonstrates that massive galaxies suffer a gradual decline in their star formation activity, providing an alternative path for galaxies to stop star formation. One of the key unsolved questions in astrophysics is how galaxies acquired their mass in the course of cosmic time. In the standard theory, the merging of galaxies plays a major role in forming new stars. Then, old galaxies abruptly stop forming stars through an unknown process. Investigating this theory requires an unbiased measure of the star formation intensity of galaxies, which has been unavailable due to the dust obscuration of stellar light.